CloudTweaks | What Is Cloud Networked Manufacturing? 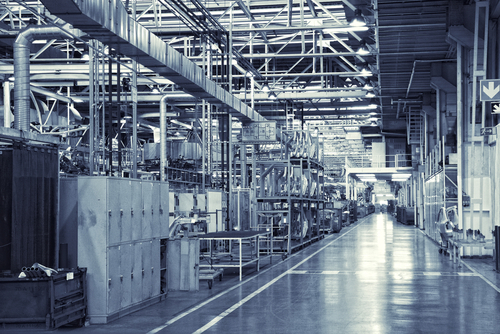 What Is Cloud Networked Manufacturing? Cloud Computing provides a new way to do business by offering a scalable, flexible service over the Internet. Many organizations such as educational institutions, business enterprises have adopted cloud computing as a means to boost both employee and business productivity. Similarly, manufacturing companies found that they may not survive in the competitive market without the support of Information Technology (IT) and computer-aided capabilities. The advent of new technologies has changed the traditional manufacturing business model. Nowadays, collaboration between dispersed factories, different suppliers and distributed stakeholders, in a quick, real-time and effective manner are significant. Cloud manufacturing, as a new form of networked manufacturing, encourages collaboration in any phase of manufacturing and product management. It provides secure, reliable manufacturing lifecycle and on-demand services at low prices through networked systems. In the literature, there are various definitions of Cloud manufacturing (CM). For example, Li, Zhang and Chai (2010) defined cloud manufacturing as “a service-oriented, knowledge-based smart manufacturing system with high efficiency and low energy consumption”. In addition, Xu (2012) described Cloud Manufacturing as “a model for enabling ubiquitous, convenient, on-demand network access to a shared pool of configurable manufacturing resources (e.g., manufacturing software tools, manufacturing equipment, and manufacturing capabilities) that can be rapidly provisioned and released with minimal management effort or service provider interaction“. According to Tao and his colleagues (2011), one of the key characteristics of cloud manufacturing is service-oriented. Manufacturing resources and abilities can be virtualized and encapsulated into different manufacturing cloud services such as Design as a service (DaaS), Manufacturing as a service (MFGaaS), Experimentation as a service (EaaS), Simulation as a service (SIMaaS), Management as a service (MaaS), Maintain as a service (MAaaS), Integration as a service (INTaaS). Cloud users can use these services based on their requirements via the wide Internet. Furthermore, Cloud manufacturing can provide various and dynamic resources, services, and solutions for addressing a manufacturing task. Like Wikipedia, Cloud manufacturing is a group innovation-based manufacturing model. Any person or company can participate in and contribute their manufacturing resources, abilities, and knowledge to a cloud manufacturing service platform. Besides, any company can use these resources, abilities and knowledge to carry out its manufacturing actions. It would seem that within a Cloud manufacturing environment, an enterprise does not need to possess the entire hardware manufacturing environment (such as workshop, equipment, IT infrastructures, and personnel) or the software manufacturing ability (such as design, manufacturing, management, and sales ability). An enterprise can obtain the resources and abilities, and services in Cloud manufacturing platform according to its requirements after payment. Public CM service platform: manufacturing resources and abilities are shared with the general public in a multi-tenant environment. Private CM service platform: manufacturing resources and abilities are shared within one company or its subsidiaries. It is managed by an organization or enterprise to provide greater control over its resource and service. Community CM service platform: manufacturing resources and abilities are controlled and used by a group of organizations with common concerns. Hybrid CM service platform: it is a composition of public and private cloud. Services and information which are not critical are stored in Public CM, while critical information and services are kept within the private CM. Cloud manufacturing consists of technologies such as networked manufacturing, manufacturing grid (MGrid), virtual manufacturing, agile manufacturing, Internet of things and cloud computing. It can reduce cost of production and improve production efficiency, distribution of integrated resources, and resource efficiency.